What do skateboarding cats, bare feet, a 25 foot-long dress, and Hillary Clinton all have in common? If you guessed “the Internet,” you’re (mostly) right: this week CIO named its Top 11 Social Marketing Campaigns of 2015 (we’re guessing they don’t expect much from the holiday season). The slideshow features campaigns from brands as diverse as Taco Bell, Nordstrom, and the Hillary Clinton political campaign, on every social platform from Instagram to SnapChat to Spotify and more. Take a minute to click through the slideshow. It’s totally worth it. The common thread that seems to make all these campaigns so successful is that each used the particular social media platform to convey information in a creative and concise way. 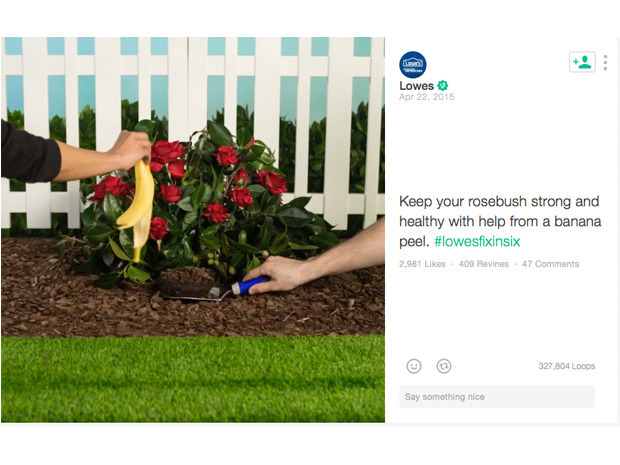 Take, for example, the Lowes Vine campaign of #fixitinsix, a series of short videos (six seconds, for those of you unfamiliar with Vine) that show “how-to” tutorials like burying banana peels to fertilize flowers. The simplicity and directness of the campaign was specifically tailored to Vine’s short format and respects the attention span of their audience. In fact, Vine tends to skew younger than the typical Lowes audience, so they may have even picked up some young DIYers through a few well placed Vine videos. Or take Nordstrom’s campaign that garnered more than 16,000 likes on Instagram with a short video showing the construction of a GIANT building-sized dress. The scale of the dress resonated the message of a HUGE sale and encouraged social engagement and sharing because the dress was framed inside a huge Instagram screen. In essence, it was a deft use of Instagram both online and off: Nordstrom bet that a literally “big post” on Instagram would generate big numbers in likes and reposting, and they were right. BUILD IT AND THEY WILL COME – There’s a new social media platform popping up every day. Before you jump on whatever the newest trend is, do some research into your audience and focus on WHERE THEY ARE. It will take some time, but build your social presence with your audience in mind. It may not make sense to put a ton of time into SnapChat if you’re targeting seniors, or to focus efforts on LinkedIn content if you’re going after that coveted toddler demo. SIMPLIFY – Social media should be easy to share, and therefore concise and direct to your audience. Use simple language in the register of your audience (young and hip for the youngsters; more sophisticated and professional for B-to-B, etc.). HAVE FUN – Use the unique features of your social media platform or app to engage your audience. Use emoji and crazy effects in SnapChat. Feature a stop-motion animation video on Vine. If you’re having fun with content for these platforms, it’ll be contagious!